The new NX Billet Crossbar nitrous plate systems have just raised the bar in nitrous plate technology. The CNC machined design eliminates round spray bars resulting in excellent atomization and cylinder distribution. With no spray bars to sag, rotate or disrupt airflow, this is truly the Next Generation in cross bar nitrous plate technology. 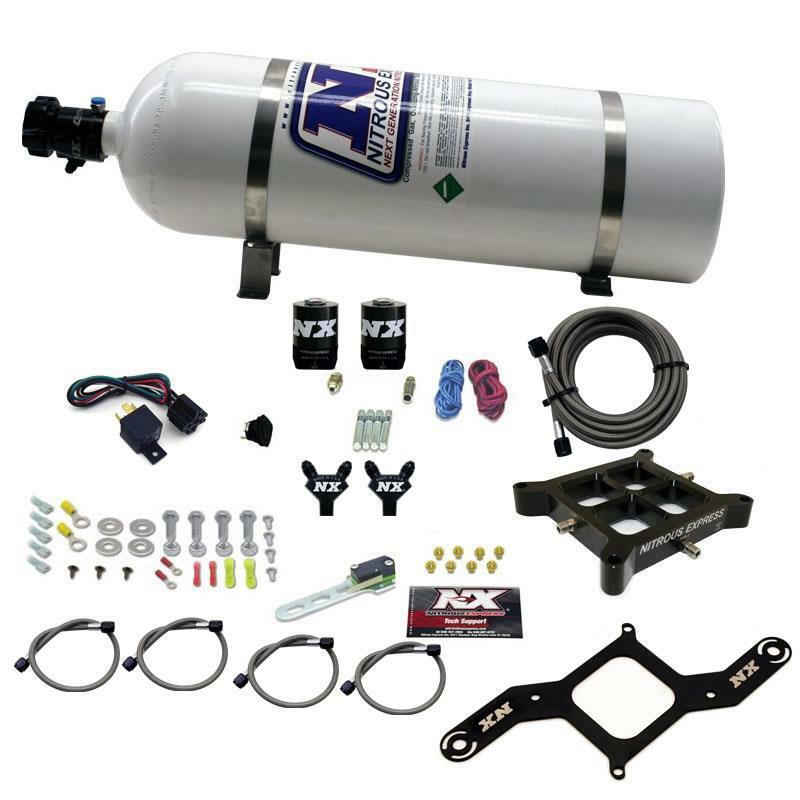 This crossbar nitrous system includes more than the standard crossbar nitrous kit. 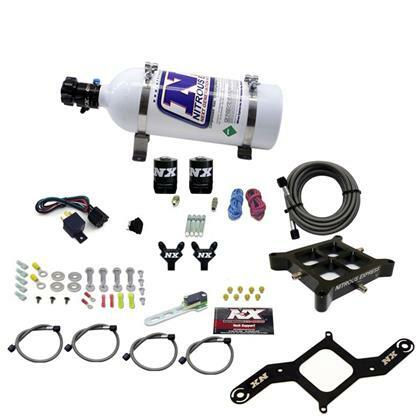 It includes a custom solenoid bracket, billet aluminum y fittings, braided stainless solenoid to plate lines, nickel plated fittings, wide open throttle switch, master arming switch, 40 Amp relay and relay harness. This system is designed for specific flange manifolds and includes jetting for 50, 100, 150, 200, 250 & 300HP on the first stage and 100, 200, 300, 400, & 500hp on the second stage.